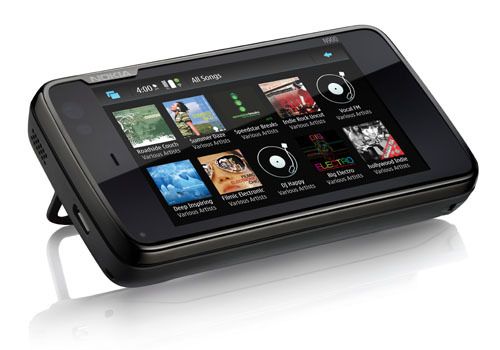 The world’s largest mobile phone maker Nokia has posted its financial results for the third quarter of 2009. On one hand, the news isn’t all that bad: the company had net sales of €9.8 billion for the quarter, which is no small amount of money. But on the other hand, the company saw a 20 percent nosedive in sales of its smartphone products and has been forced to write down its Nokia-Seimens joint venture by €908 million. And that €9.8 billion net? That’s 20 percent lower than the same quarter last year. All told, Nokia posted a quarterly loss of €0.15 per share, the company’s first quarterly loss in a decade. Nokia’s sales decline in the smartphone segment does not bode well for the company, since smartphones are the area of the mobile landscape with the strongest growth and highest profit margins—where Apple, RIM, Palm, and others are making waves with new smartphone designs, consumers are clearly not as enthralled with Nokia’s smartphone offerings. However, Nokia has managed to hold onto its top position in the global mobile phone market, accounting for 38 percent of all handsets sold in the world. However, there Nokia accounted for 41 percent of the global smartphone market in the second quarter of 2009, it accounted for only 35 percent of it during the third quarter—a number that’s basically level with its market share a year ago. During the third quarter of 2009, Nokia managed to sell almost 109 million handsets: that’s down 8 percent from the same quarter a year ago, but up 5 percent from the second quarter of 2009.